This dance dreamed up by Societte and Yuel is a duet of pleasures requiring both parts of a whole. Rhythmic flames of blue and red flow in harmony and blossom like a wreathe of flowers. Those fantastical petals ignite the wicks of the beholder's heart, illuminating the path that they should follow. 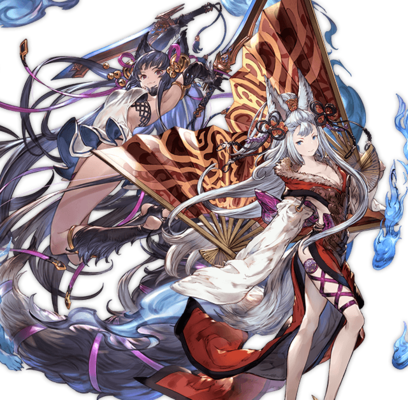 Yuel: This is a dance of important bonds! Societte: It's impossible to keep your eyes off us! This page was last modified on 15 April 2019, at 06:48.